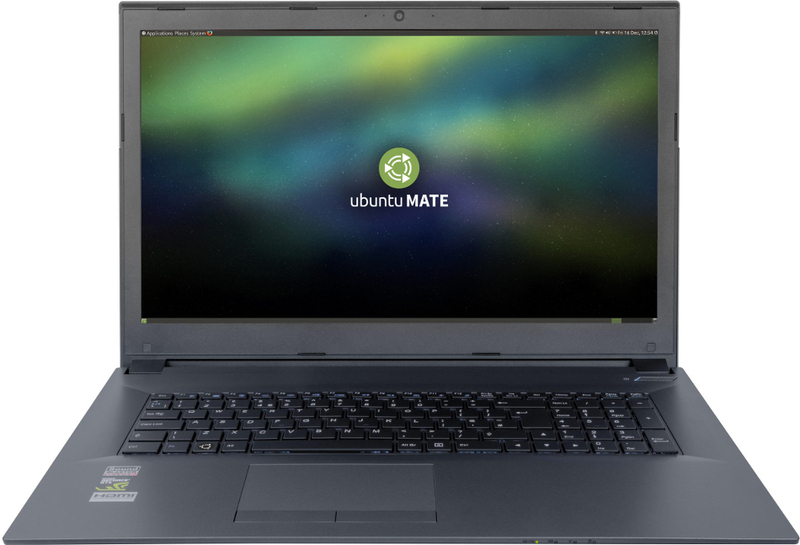 Entroware, the UK-based Linux hardware vendor have released two newer laptops and one of them could be a reasonable gaming unit. It's powered by Intel’s Kaby Lake, which can be configured as either an i5-7300HQ or i7-7700HQ, so it's certainly not short on CPU power. Like before though, my shock here comes in the form in the stupidly low RAM which starts at 4GB. I don't know why lots of laptop vendors keep having such a low starting amount of RAM, but it can be configured up to 32GB DDR4. I really don't think 4GB RAM goes far at all now, so it's a bit crazy. They key thing about the Hybris is that you can go with the cheaper Intel HD graphics, or configure it with an NVIDIA GTX 1050 4GB. For a laptop, that's not half-bad and could run a reasonable amount of games on the go, or if you can't fit a tower unit it might be quite handy. When it comes to hard drives, it starts with a single 500GB standard HDD, but you can have two drives and the second drive can be configured with PCIe/NVME options. There's quite lot of variety on offer when it comes to storage space on this little powerhouse. All Entroware units can be configured with Ubuntu, Ubuntu MATE or no operating system. They are able to ship to England, France, Spain, Germany and Italy. It does still make me chuckle that they have an Ubuntu sticker over the Windows key, instead of a key replacement, but it's obviously a lot cheaper. Probably the only bad thing I have to say about Entroware. They also released a refreshed Apollo laptop, but it's much a more of a work unit than a gaming unit. Might be interesting for those of you working on the go though! Could an Entroware device be your next purchase? Let us know! If I actually had the money for a good laptop, the Entroware Hybris is quite possibly the one I would go for. One with a ryzen 1700 in it with a rx580 would be sweet . I assume it's paid promotion ( no problem with that, except please state it ) but shouldn't the links have referer? pete910 One with a ryzen 1700 in it with a rx580 would be sweet . Guppy I assume it's paid promotion ( no problem with that, except please state it ) but shouldn't the links have referer? We do not take payment for articles, ever. Edit: See our Ethics page, if it's unclear at any time. I too dream of the day when I can buy a PC with any Distro pr-installed. But I have to concede that there are a lot of Distros and they couldn't possibly support them all. One thing to consider: Switchable graphics support is basically broken with the proprietary nVidia driver. One is therefore either required to restart X11 whenever one wants to switch graphics chip between the dedicated and the integrated one, or one has to use the open source drivers. UK , Ireland , France , Spain , Italy and Germany. Seems fairly limited considering how many countries there are in Europe. I actually looked at their delivery info page, where that's not mentioned. I see now it's mentioned in their slider, bit of a nuisance. I actually looked at their delivery info page, where that's not mentioned. I see now it's mentioned in their slider, but of a nuisance. Thinking to shoot them a mail. Curios if they can somehow use a third party for countries they don't ship directly too. Or I can have it sent to some friend and have them send it to me. A laptop with that kind of hardware is as good as his cooling capacity. Too bad they didn't have more photos of the back of the unity or the internals. Since this must be a OEM part, it must not have to be too hard to find a review of a Windows machine from another vendor.